In the realm of super-powered pups, Underdog stands towering above the competition. As one of animation’s most abiding and beloved characters, the bumbling antics of the valiant, but somewhat hapless, Underdog have been the highlight of countless Saturday mornings. Generations of youngsters have gleaned valuable lessons from Underdog, along with their animated entertainment; here are ten of the undeniable lessons learned from the inimitable pooch. You Shouldn’t Judge a Book By It’s Cover – The shy, bespectacled Shoeshine Boy certainly wouldn’t give anyone cause to suspect that he’s a superhero in disguise; still, the lesson about judging people’s merit based on their appearance is one that even the youngest viewers can pick up. Clumsy People Can Still Save the Day – Part of Underdog’s charm is that, even while saving the day, he’s still quite accident prone. His clumsiness, however, doesn’t keep him from rescuing Sweet Polly Purebred and setting the world back to rights, leaving less-than-coordinated kids with an affirming lesson. 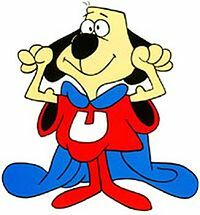 Good Nutrition is Very Important – Though they began life as “energy pills,” Underdog’s use of vitamins to keep his super-powers flowing teaches kids that good nutrition, vitamins and eating well are all important for peak physical performance. Love is the Great Motivator – The trilling of a troubled Sweet Polly Purebred is enough to send Shoeshine Boy hurtling into the nearest telephone booth; Underdog’s inspiration and the main motivating factor behind his heroic behavior is the love he feels for Polly. Mild-Mannered Dogs Can Be Heroes, Too – For kids that are on the shy side, it can be very reassuring to see that superheroes don’t have to be charismatic, larger-than-life characters. Shoeshine Boy is only barely less flamboyant than his heroic alter-ego, proving that even quiet guys can make their mark. Even Heroes Aren’t Infallible – Though he always saves the day, Underdog leaves plenty of damage in his wake. Unlike superheroes of the smoother variety, Underdog’s feats are generally accompanied by mistakes, which can leave kids with the message that even heroes mess up from time to time. It’s Possible to Love the Wrong People – Though his feats are almost always performed in order to deliver Sweet Polly Purebred from harm, she still has no interest in the “real” Shoeshine Boy. Blinded by her affection for the heroic Underdog and perhaps a bit shallow, Sweet Polly Purebred is, despite being an inspiration, not the right girl for our hero. Bumbling Characters Can Still Make History – Despite wreaking a fair amount of havoc, Underdog has become a cultural icon and even been a regular part of the spectacular Macy’s Thanksgiving Day Parade, proving that even the less-than-graceful members of society can go down in history. Quirky Habits Set You Apart – Underdog’s quirky penchant for speaking only in rhyming couplets is one of his most memorable attributes. For kids with quirks of their own, seeing that these small oddities can make us memorable is a great message. We All Have to Share the Spotlight Sometimes – Despite Underdog’s popularity, he gladly shared the spotlight with various other characters, whose segments aired in conjunction with his. Learning to let others shine is a difficult lesson for some kids, but is exemplified by Underdog’s gracious behavior. Underdog’s name, in itself, provides a great lesson for kids, exemplifying the ability of the ‘underdog’ to rise to the top and become a champion against the odds.